"Seems like the Fallen have an endless supply of these floating death-machines. No matter. Anything they spit out, we'll toss right back." Tracer Shanks are a unique model of Shank belonging to the Fallen. 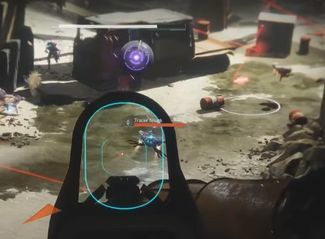 In place of a standard Shank's weaponry, Tracer Shanks have a built-in Wire Rifle, allowing them to snipe hostiles from long range as effectively as any Vandal. During the Wolf Rebellion a group of Tracer Shanks were located in The Breach of the Cosmodrome Wall. They were subsequently destroyed by Guardians on orders of the Queen's Wrath, Petra Venj. During the Red War, Tracer Shanks were used by the House of Dusk.